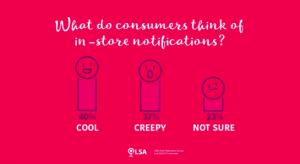 RichRelevanceÂ®, the global leader in omnichannel personalization, released its second annual “Creepy or Cool” survey of US consumers. The 2016 study finds that while American consumers expect to use their mobile phones as part of the store experience, they are most open to mobile and digital innovations that allow them to choose when and how to engage. In contrast, technologies such as facial recognition that are used to track and target customers remain unpopular with consumers.